Unless you’ve been living under a rock, you might have heard about the whole Wikileaks thing wherein an organization or individual got ahold of a bunch of information that the US government was keeping under tight wraps. Then decided to post it for the whole world to see. Heard of it? Yes? No? Doesn’t matter, since they’re coming out with a movie so you can see the more “thriller” version of it. The movie “The Fifth Estate” is about 2 people start a website to “watch the watchers”. Julian Assange (you might have heard of the name). So they make WikiLeaks, which is actually a platform that allows people to share data but anonymously so they don’t get traced back and be trouble. It’s all fun and games until everything goes bananas when they get access to more classified data like top secret confidential US-government-will-kill-you-if-you-get-them type. Starring Benedict Cumberbatch as Julian who you may know from the Sherlock Holmes TV series or from the recent Star Trek Into the Darkness as Khan. I think he fits the role perfectly since there will be a lot of talking. And I mean a lot. “The Fifth Estate” also stars Anthony Mackie, David Thewlis, Alicia Vikander, with Stanley Tucci and Laura Linney. 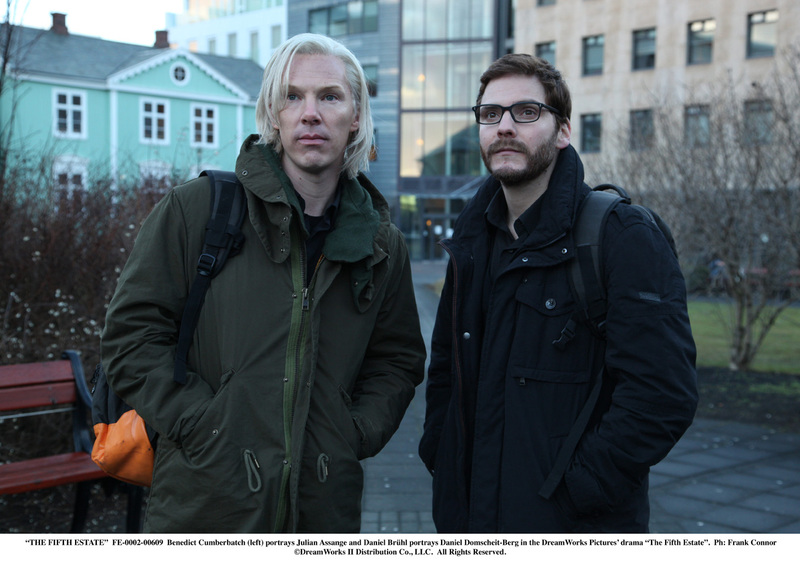 Opening soon across the Philippines, “The Fifth Estate” is a DreamWorks Picture distributed by Walt Disney Studios International. Did You Get That Thor After-Credits Scene? Want to Know What a Geeky Perfect Day is?